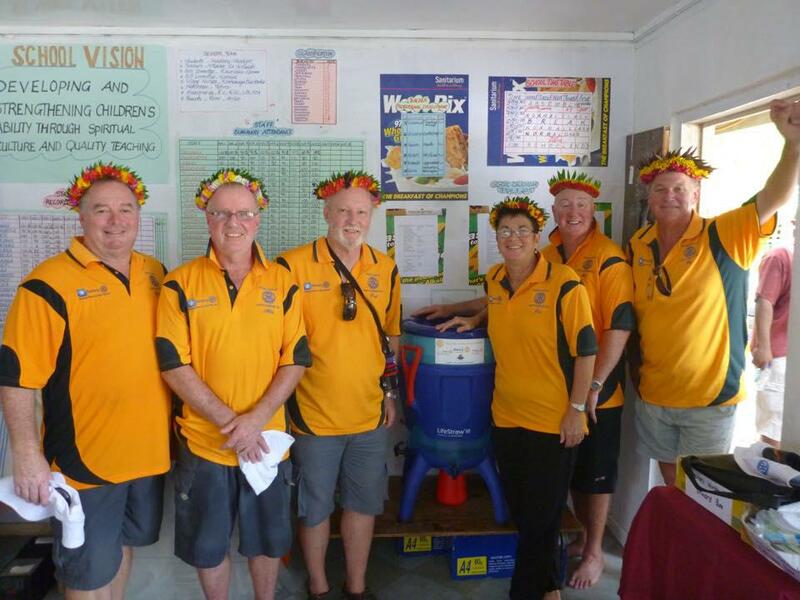 A global grant was sourced through Rotary International to add to the funds raised through the Rotary Club of Coffs harbour ,Rotarian Garry Brown and Rotary District 9650 designated fund. The primary objective for the Kiribati Water project is to provide safe drinking water to those most in need on the island of South Tarawa in the Republic of Kiribati. 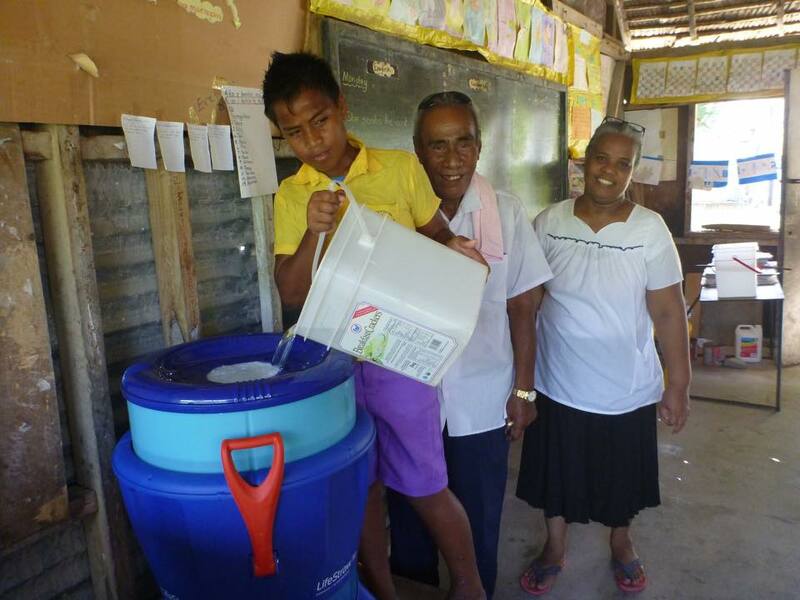 To provide 120 Lifestraw Community water purification units to be located in 20 schools, 15 health clinics and 2 hospitals on South Tarawa; and to provide additional filters ensuring effective operation of the units for five years. To undertake an education and awareness program on the importance of basic health & hygiene at the schools and through the schools to the wider community. The in Country Project Team of Grahame Crouch ,Mike Brown ,Dr Paul Moran,Julie Avery,Rob Avery & Ray Smith spent three weeks implementing our project. Community leaders Teekeua & Tuan Tariti provided great assistance with logistical support and invaluable local knowledge. 120 Lifestraw units were assembled and installed at 29 different location spread over the length of the island. They were distributed on the basis of one unit for every 100 students . The team worked closely with representatives from the Ministry of Education and Ministry of Health & Medical Services.Their valued assistance guaranteed our success. At each site each unit needed to be housed in a secure location and accessible location which proved to be a huge challenge Some class room could not be locked as they had no doors some had no walls. Which had some unintended consequences as we were also gluing four health & hygiene posters in over 330 class rooms not to mention the medical clinics and hospitals. The posters were an integral second part of our project. To undertake education and awareness program on the importance of basic health & hygiene at the schools and through the schools to the wider community. In addition as part of our general awareness program each school performed either a song dance or drama about water borne disease. The results were amazing and left us with no doubt that they really understood the message. Their performances were simply outstanding. Please click on the photos below to view the videos of our project that showcase the local students talents.